The Mortimer Rare Book Collection occasionally publishes books, pamphlets, and exhibition catalogues related to the collections. Print out the order form, fill it in and mail it to Special Collections. Shirley Jones and the Red Hen Press (2013). 79 pp. Illustrated. $10.00. A bibliography by Ronald D. Patkus, with commentary by the artist. This illustrated catalogue of the work of Welsh artist Shirley Jones has been published on the occasion of the thirtieth anniversary of her Red Hen Press. 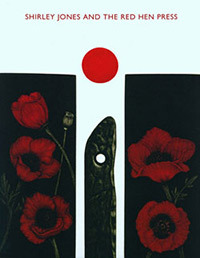 Shirley Jones' work will be featured in exhibitions on view in 2013 at Vassar College, the University of Vermont, Smith College, and Swarthmore College. 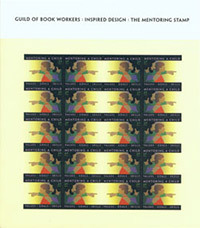 Inspired Design: The Mentoring Stamp (2008). 48 pp., illustrated. $10. A catalogue of a set book exhibition of fine bindings by members of the New England Chapter of the Guild of Book Workers at Smith College August -December 2008. Thirty binders interpreted Designing the Mentoring Stamp by Lance Hidy. The catalogue includes color illustrations and descriptions of the bindings, biographies of the binders, and artist statements. 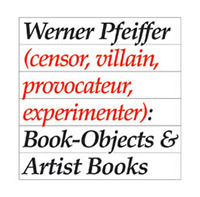 Werner Pfeiffer (censor, villain, provocateur, experimenter): Book-Objects & Artist Books (2008). 68 pp., illustrated. $10. 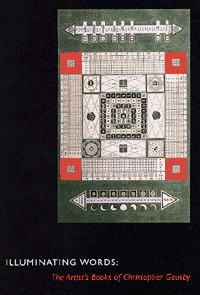 This is the catalogue of a retrospective exhibition at Smith College, April through July 2008, of the work of graphic artist, typographer, sculptor, and teacher Werner Pfeiffer. Much of Pfeiffer’s work comments on censorship, and it engages the viewer/reader in ways beyond the manipulation of books by turning pages. No Other Appetite: Sylvia Plath, Ted Hughes and the Blood Jet of Poetry (2005). 68 pp., illustrated $35. SOLD OUT. No Other Appetite is the catalogue of an exhibition mounted at The Grolier Club of New York in the fall of 2005. The exhibition brought together for the first time original letters, manuscripts, and photographs from two of the 20th century's most celebrated poets. 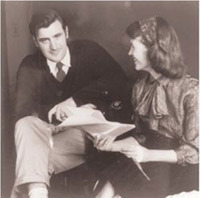 Materials were primarily from the Sylvia Plath archive at Smith College and the Ted Hughes archive at Emory University. The exhibition documented the close creative relationship of these two poets during the years of their marriage and the repercussions of Plath's tragic suicide in the life and work of her husband, the late poet laureate of Britain. The exhibition was co-curated by Smith's associate curator of special collections Karen Kukil and Emory's Stephen Enniss. The catalogue, designed by Bruce Kennett, won the 2007 American Library Association’s Leab Exhibitions Award. 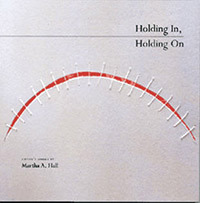 Holding In, Holding On: Artist's Books by Martha A. Hall (2003). 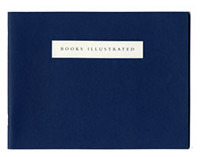 Wrappers, 103 pp., illustrated in color. The catalogue of an exhibition organized by the Mortimer Rare Book Room and on view at Smith College, Wellesley College, Bowdoin College, and Yale University from 2003-2004. Martha Hall, who died in 2004 after a 15-year struggle with breast cancer, created books as a healing therapy in response to her illness. The catalogue also includes an introduction by Dr. Letha Mills, who was Martha's physician and friend, an artist's statement, and a catalogue raisonne of all of Martha's work. $15. Véronique Plesch, Illuminating Words: The Artist's Books of Christopher Gausby(1999).Wrappers, 36 pp., illustrated in color. The catalogue of an exhibition curated by Martin Antonetti held at the Smith College Museum of Art and the Colby College Museum of Art, with an introductory essay. $15. Michèle V. Cloonan (ed. 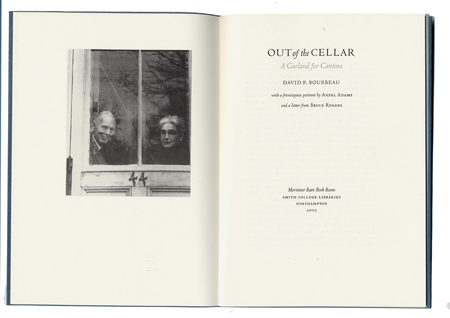 ), Books Illustrated: Presentations from the symposium celebrating the work of Ruth Mortimer held at Smith College, April 12-13, 1996 (1997). Essays by Ellen Dunlap, Barry Moser, Sidney Berger, John Lancaster, Margaret Lane Ford, Barbara Blumenthal, and Laura Davidson. $10. Karen Kukil, (ed. 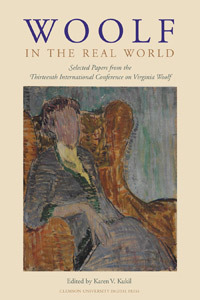 ), Woolf in the Real World: Selected Papers from the Thirteenth International Conference on Virginia Woolf, (2005). The Thirteenth International Conference on Virginia Woolf took place at Smith College on 5-8 June 2003. Nearly 200 papers focused on the ways Woolf engaged the "real world" of her time and the ways her legacy continue to engage "real world" issues now. Thirty essays were selected for publication that reflect the life, writings, and afterlife of Virginia Woolf, edited by Karen Kukil. Fungi selecti picti watercolors by Orra White Hitchcock with an introduction by Robert L. Herbert Professor emeritus, Mount Holyoke College. Printed in an edition of 500 copies. $5. Out-of-print. 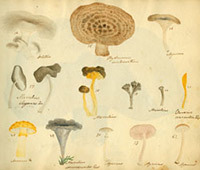 Reproduction of an album (in the Smith College Archives) of watercolors of mushrooms by 19th-century botanist and artist Orra White Hitchcock, with notes by her husband Edward Hitchcock, Amherst College professor and president. These paintings were done in the summer of 1821, just after the marriage of Orra and Edward, as they explored the fields and woods of western Massachusetts. Sylvia Plath 75th Year Symposium at Smith College Poster. This poster, printed on card stock, was produced on the occasion of the Sylvia Plath 75th Year Symposium at Smith College, April 25-26, 2008. It features a photograph of Sylvia Plath with her typewriter in Yorkshire, England, September 1956, and a brief excerpt from Plath’s journal, dated May 14, 1952. 12 x 20 inches. $12.00. SOLD OUT. Woolf Boxed Card Sets. Early Photographs of Virginia Woolf and her parents, Leslie and Julia Stephen. 8 cards and envelopes, blank inside. 5 x 7 inches. $12. Jost Amman Notecards. Set of letterpress-printed cards featuring four different images of women from the 1586 edition of Jost Amman's Gynaeceum, sive Theatrum Mulierum (The World of Women). Shown here: "Noble Woman of Franconia". 4 cards and envelopes, 5 x 7 inches. $5. Percy Bysshe Shelley, The Question (1984). Wrappers, 8 pp., illustrated. Reproduction of the calligraphic manuscript of the poem by Leah Palmer Preiss from the 1839 edition of The Poetical Works of Percy Bysshe Shelley, commissioned by the Smith College Library Rare Book Room. $5. Virginia Woolf, The Love of Reading abridged by the author from How Should One Read a Book? (1985). Wrappers, 21 pp. $5.